You have questions. Like, where are the good places to study and get my work done? How do I find the books, articles, and other materials I need for my coursework, and how do I get help? Is there coffee? Food? Find answers here, and begin your journey of discovery. 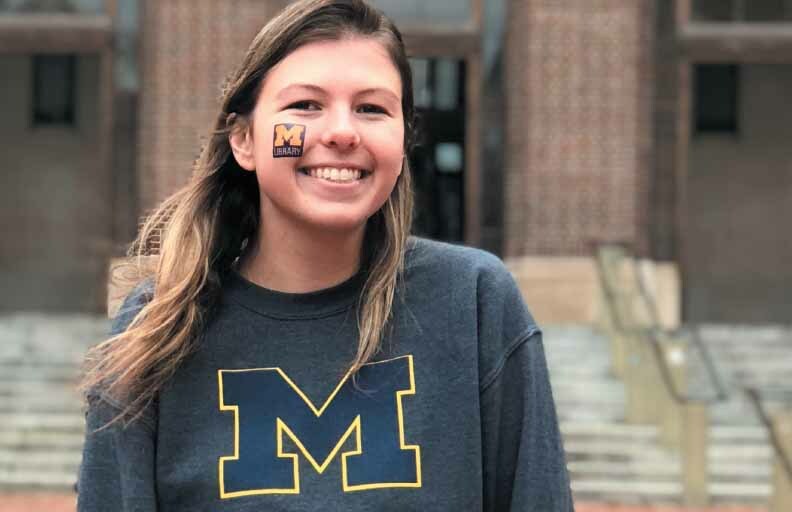 The story of the girl with the library tattoo begins with the rescue of discarded U-M Library spirit wear. Morgan Lindblad was leaving Festifall her freshman year when she noticed something on the ground. When she looked closer, she found temporary tattoos, navy blue and printed with the library logo. She picked them up and wore one to the next home football game; after an overwhelmingly positive response from her friends and those in the stands around her, a tradition was born. When she started to run out of tattoos sophomore year, she returned to where it all began: Festifall. She happened across the library booth and asked if there were any tattoos, explaining her game day tradition. And while there weren’t any stocked at the booth, one of the staffers had some in her purse. She gave them to Lindblad, sustaining her for another season. When she ran out again junior year, she knew she couldn’t just hope for the best. What started as a joke had become her thing, and repping the heart of academics at football games was symbolic. “I wear them on game days because it’s like, work hard, play hard — I think that’s very Michigan,” she said. By this point, she wasn’t the only one invested in the library tattoos. She would be asked before each game if she’d be wearing the library tattoo. She would share tattoos with those around her. When friends found a U-M Library shirt at a local Goodwill, they bought it for her and insisted she wear it on game day. Lindblad even made the library face tattoo tradition a family affair, sharing one with her mom when she visited for a football game. And then the crisis came, one that Lindblad documented on Instagram: She ran out of tattoos, and, this time, a library booth on the Diag didn't have any. But librarian Marna Clowney-Robinson, certain that someone, somewhere had some, offered to help. Lindblad and her Instagram followers waited for a week, in suspense. Clowney-Robinson found a stash and supplied Lindblad with at least enough to get her through her senior year season. She and the library tattoo fans celebrated. She works hard, and when her friends come to visit, she makes sure to introduce them to the library, which is with her even on football Saturdays as she plays hard. Want to wear your love of the library for all to see? Get your own temporary tattoos from the Shapiro circulation desk or the Art, Architecture & Engineering Library on the second floor of the Duderstadt Center. Growing up in a social justice-oriented family, Meghan Brody originally thought she might attend law school, where she could represent underserved people and effect change in social policies as a public interest lawyer. But along the way — especially as she began her undergraduate studies in Ann Arbor — Brody began to think about libraries: the ways in which they serve their communities, and the inclusive, accessible programming inherent to the library model. Now, the history senior plans to attend graduate school in library and information science. “I changed toward a career in librarianship because I felt like, as a librarian, I [would have] an opportunity to become more involved in a community and create more positive change than were I to be a lawyer,” she says. 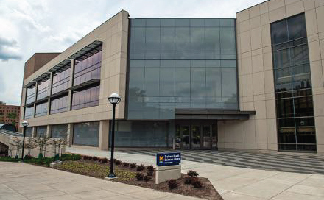 To experiment with this concept as an undergraduate, Brody sought out the U-M Library. 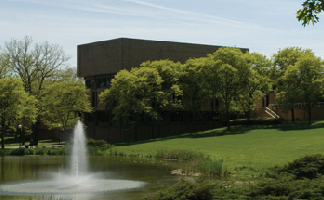 With its nine locations, the library is one of the largest student employers on campus and maintains a wide range of opportunities, from paid internships to hourly positions where students can serve as gallery attendants, publishing and acquisition assistants, data visualization consultants, digital media technicians, and more. For Brody, applying to serve as a Michigan Library Scholar was a great way to delve into the real-life projects librarians encounter on a daily basis, specifically tailored to her interests. Brody’s project involved developing a “Living Library” program in coordination with Onsite User Services and Outreach Assistant Jasmine Pawlicki, then co-chair of the Library Diversity Council, and Diversity and Inclusion Specialist Jeff Witt. 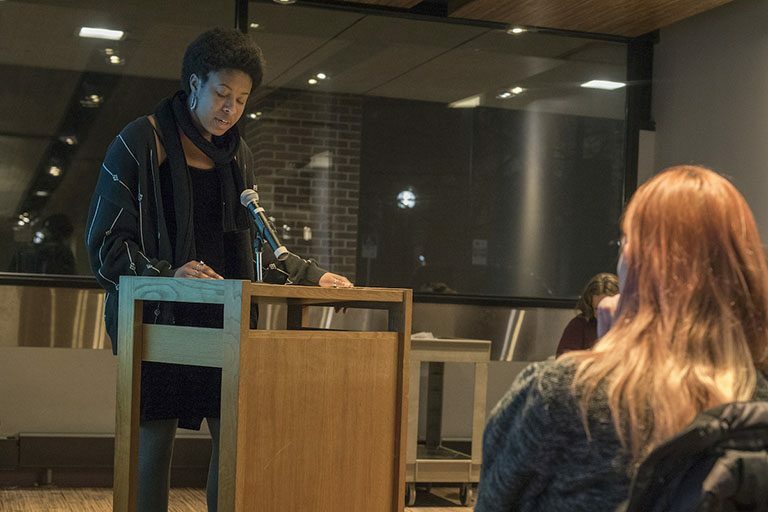 Based on The Human Library, a Living Library event would allow members of the U-M community to be “checked out” for a certain period of time in a designated library space to share personal stories with a guest — all in an effort to foster connections and challenge misconceptions through conversation. Currently, the Living Library committee is recruiting people who would like to serve as “books” through U-M’s International Center and Services for Students with Disabilities, with an eye on developing sustainable relationships with participants over time. The framework for the project is based on anti-oppression principles, Pawlicki says, and is very intentional about how it will support and protect its volunteers. Brody says such events, which focus on one-on-one connection and vulnerable conversations, can lead to confronting stereotypes and encouraging empathy. Kathleen Moriarty, Asian studies senior, worked at the University of Michigan Press, a division of Michigan Publishing, to evaluate and determine which backlist publications from the press and the Centers for Japanese, Chinese, South Asian, and South East Asian Studies would benefit from being released as open access, and thus available to people around the world. As part of her project, Moriarty developed an in-depth database of metadata for current titles, many of which were lacking critical details. Her mentors from Michigan Publishing were Christopher Dryer, acquisitions editor, and Terri Geitgey, Library Print Services. Miriam Attal, international studies junior, worked from the Music Library to create and promote a robust International Performing Arts Resources research guide, which incorporates introductory resources on non-western music, theatre, and dance, from seven major regions of the world. “We wanted to create a more fair and equitable representation of performing arts, while being thoughtful about design and accessibility,” she said. Her mentor was Jason Imbesi, librarian for Music, Theatre, and Dance. Gabriel Mann, international studies senior, performed a needs assessment of the library’s international news resources. In doing so, he explored the library's current news offerings, examined and documented its process for acquiring international news resources, and performed a competitive analysis of other universities’ research guides on the topic. His mentor was Shevon Desai, Communication and Information Studies librarian. Apply to the Michigan Library Scholars program, which offers paid internships and real-world professional experience via a practical, hands-on project with a global or international focus. All majors welcome. 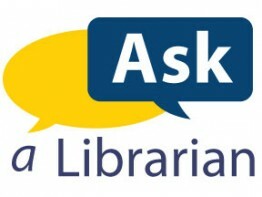 It’s one library system with more than one location, all of them staffed with people who can answer your questions. You may need your Mcard to enter or remain during late night and overnight hours. For Wi-Fi, use MWireless, which requires U-M login and offers full access to library services and collections. 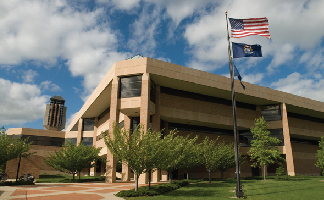 To print, copy, or scan on library equipment, connect to MWireless and use the university’s web-based printing service. Don't just Google it! The library's source materials have been vetted for reliability, relevance, and research value. To find books, videos, journals, articles, databases, and more, log in to the library website with your uniqname and password and use Library Search, or browse by subject to find recommended resources in the relevant field of study. You can access electronic resources anywhere, as long as you're connected to the Internet and logged in to your account. Retrieve books shelved in our open stacks yourself, or have them delivered to the campus library closest to you by clicking Get This in the item record. Show your Mcard at any library circulation desk to check out circulating materials. 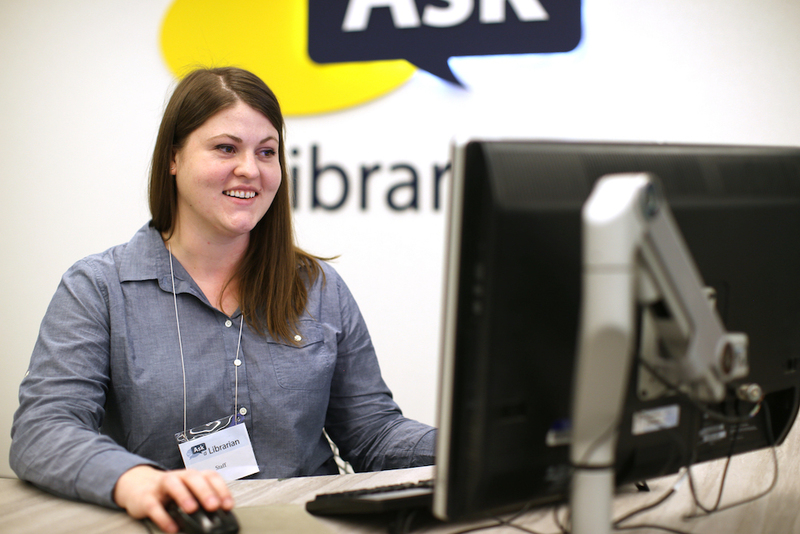 If you need help getting started, you'll find a wealth of online resources on our website or with Ask a Librarian — in person at a reference desk (you can make an appointment) or via phone, email, or text or instant message. Did you know that you can check out comic books and graphic novels at the library? 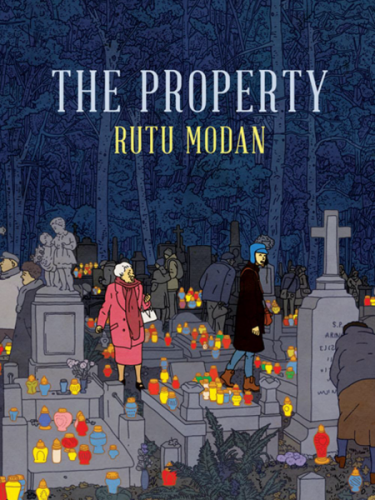 Our extensive comics and graphic novels collection is located in the Art, Architecture & Engineering Library (on the second floor of the Duderstadt Center), and includes award-winning, international, local, independent, and mini-comics. 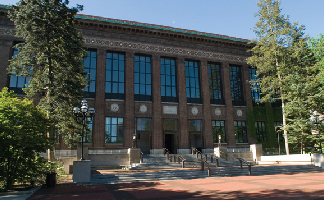 If you’re unable to browse the collection in person, you can have certain works delivered to the U-M Library location closest to you by finding the graphic novel or comic book in Library Search and selecting “Get This” in the catalog record. You can also read an assortment of comics online at the Underground and Independent Comics database (Umich authentication required), for research or for fun. Library professionals can help you use a wide range of technologies and information resources in your research assignments and creative projects. Get help with graphic design, image manipulation, citation management, web publishing, book formatting, and video editing. If you have a technology need, we’re here to give you hands-on instruction. We offer free 30–60 minute consultations for your course or research projects, so make an appointment, drop in (2nd floor Hatcher Library), or email us. Produce and edit audio and video (including game design, animation, and graphics) or practice your presentation in one of our media rooms. Create items using our 3D printer, letterpress, and other maker tools. Email the design lab to get expert help with equipment, software, tools, and supplies to advance your coursework, research, and creative projects. 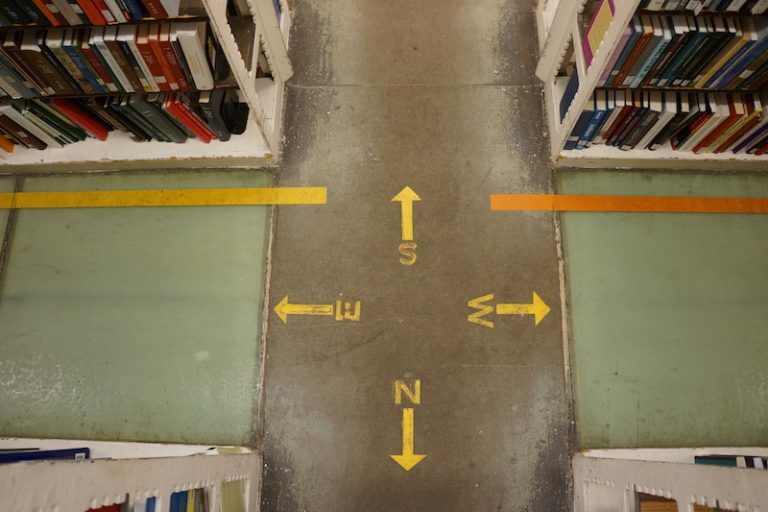 When you’re ready to dig a little deeper into a subject area—completing an honors thesis or capstone project, for instance — a library subject specialist can help you find resources and develop a research strategy. Watch this introduction to library places and resources. Relieve stress during finals by visiting with a furry friend. Looking for a position with flexible hours, in a fun and welcoming environment? Consider the library, where you can gain valuable experience and skills in a variety of positions. Read the Student Stories Blog to learn more about the contributions of student employees and interns. 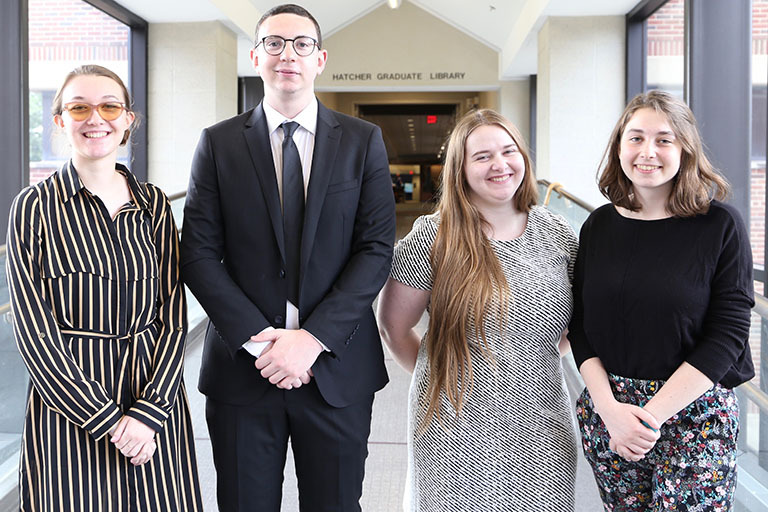 This summer, gain real world professional experience as you collaborate with library mentors to complete a capstone project with a global or international focus in this paid internship. Application deadline is February 25. 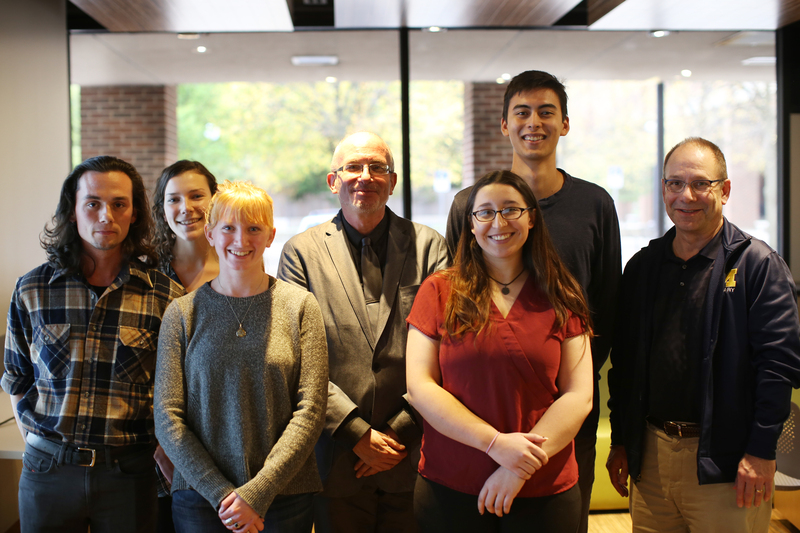 The library’s Undergraduate Research Awards recognize the work of undergraduate students who have demonstrated excellence in library research. Apply for awards in four categories: the Maize Award, for single term projects, the Blue Award, for multi-term projects, the Outstanding First-Year Research Project Award, and the Innovation in Research and Creativity Award. The deadline is May 2. See what's coming up in the library's event listings, and sign up to receive our weekly exhibits & events email. Don't miss this year's Café Shapiro reading series, with some of the best undergraduate writers reading their stories and poems over five evenings in February. 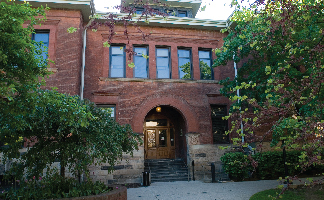 Library exhibits this semester include Written Culture of Christian Egypt: Coptic Manuscripts from the University of Michigan Collection; Sinking Cities: Documenting the realities of climate change in cities around the world; and Free Poems and Functional Art: 50 Years of the Alternative Press. These one-credit mini courses meet for just seven weeks. Get the skills you need to excel in all your courses. Learn how to find the best sources for your projects with online search strategies, research tips, and critical evaluation techniques. Develop critical thinking skills and create a personal strategy for fact-checking and evaluating the news. 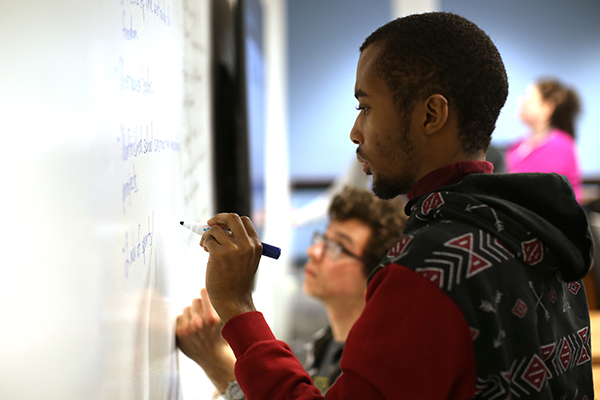 Develop advanced research strategies while working on an extended project. Get an introduction to data visualization — data discovery and manipulation, aesthetics, and software. Hear from students about the benefits of ALA 105. 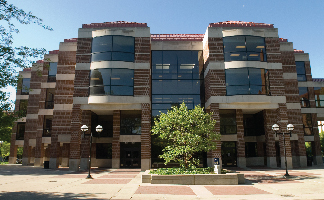 Check out the full list of libraries on campus. Theft can happen, and laptops are an easy target. Always store your laptop when it’s not in use, and don't ever leave it unattended, even for a quick trip to the water fountain. Do take advantage of the free Property Registration Program offered by the Department of Public Safety & Security (DPSS). Register and they'll send you stickers to affix to your items (including bicycles), which deter thieves and enable the return of recovered stolen property to its rightful owner.